Today we shall discuss our new addon of Order Delivery Date Pro for WooCommerce plugin which allows you to select or auto generate Delivery Date for the subscription product called as WooCommerce Subscriptions Compatibility Addon. Here we will understand how to setup Recurring Deliveries with WooCommerce Subscriptions plugin. This addon works as per the subscription period set for the product from the WooCommerce Subscriptions plugin and works best for fulfilling delivery of renewal orders. 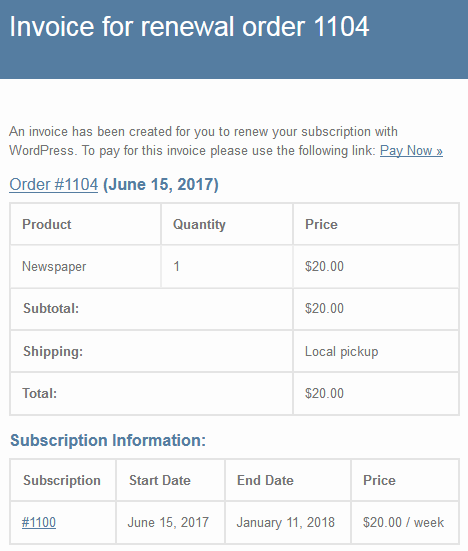 Firstly it is mandatory to have Woocommerce Subscriptions plugin installed and activated before installing this Subscription Addon of Order Delivery Date plugin. 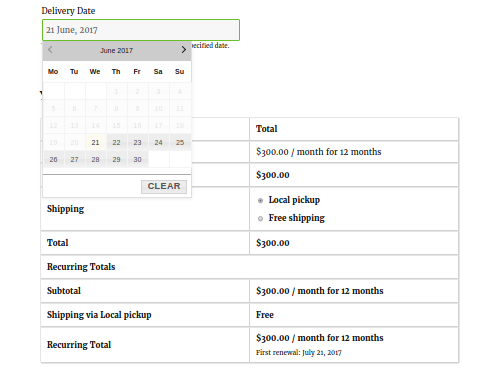 Also you need Order Delivery Date Pro for WooCommerce plugin installed and activated to use this addon. 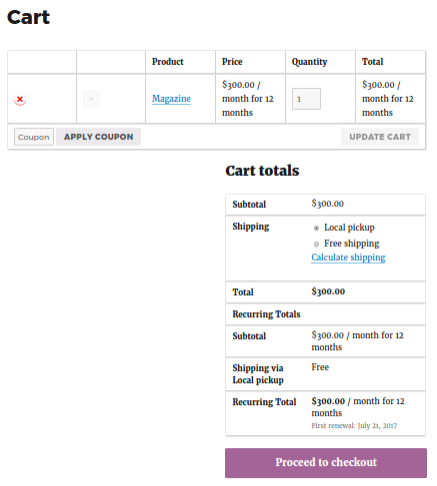 It is developed in such a manner that it is compatible with Woocommerce Subscriptions plugin, thus delivery dates for WooCommerce subscribed products can be set through this addon. 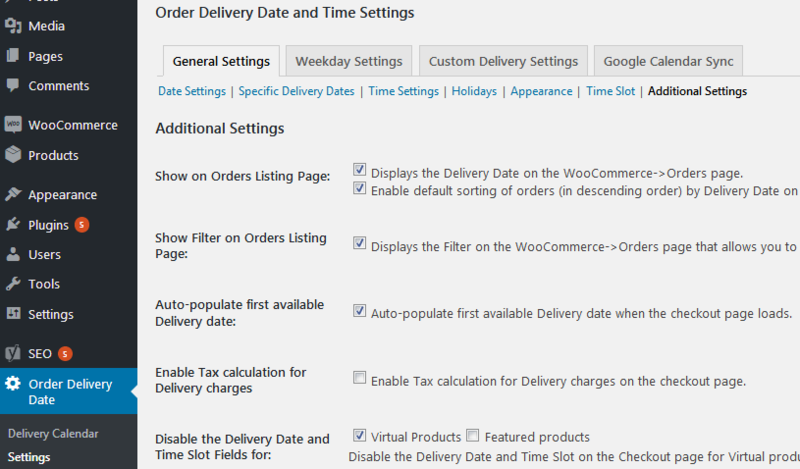 Note – Make sure you have Order Delivery Date Pro for WooCommerce plugin installed and activated. How to check if the addon is installed properly? How to start using this addon? When you enable the option, according to the set subscription period, Delivery Date can be selected or auto-generated for the renewal orders. When you tick the first checkbox, you are enabling the setting to select the Delivery Date for renewal orders manually from the calendar either by customer or by the admin. a) According to enabled Delivery Days under General Settings -> Date Settings. b) According to the subscription period set in the Subscription product. 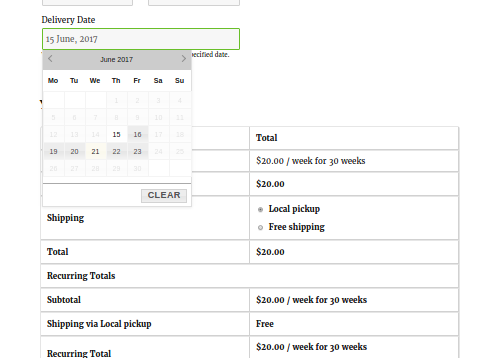 So here, as the cart contains the Weekly Subscription product and the enabled delivery days are from Monday to Friday, therefore only those days are enabled on the calendar. How is the next delivery scheduled? The first available date for delivery is 15th June, hence the checkout page will show you this date highlighted on the calendar as shown above. The Delivery Date has been selected as 15th June for this order. Now because we have set this product for weekly subscription for 30 weeks duration, the first renewal will occur on 22nd June, a week from current date. Note – The Delivery Date for the next renewal order needs to be selected by the customer or by the admin. How to select delivery for next renewal order? For this method, all the procedure remains the same as that of manual method except that the delivery date for renewals will be set automatically here. This implies that customer or admin will not have to change the delivery date but instead system will auto populate the next delivery for renewal. How to set automatic method for renewal? Customer has selected 21th June for delivery as show in the below image, hence the next delivery will occur after a month on 21st July and will appear automatically. How will you know about the next renewal order? In automatic procedure for renewal, customer will be notified about the next delivery date via an email sent by WooCommerce once the order is completed. However, all the details can be viewed or edited from customer’s My Account page. Admin can also edit the delivery dates from ‘Edit Order Delivery Date and/or Time’ metabox present under the Edit Order page. Thus the major difference in both the methods is that, the system auto calculates and displays the next delivery of renewal order on Order details page when automatic method is enabled, which is not possible in manual method. This addon has made many businesses that deal on monthly or weekly services, easy and convenient. 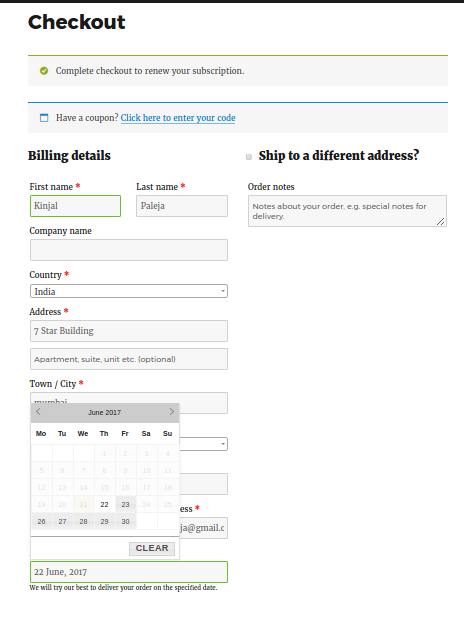 It provides details on subscription and renewal orders upfront, thus helping to keep track of deliveries. It marks a boon to businesses like the ones renting automobiles, houses, selling newspapers and magazines etc. Hence many sectors can take an advantage of this addon.